This last week Thom and I led a discussion group about Rightsizing. 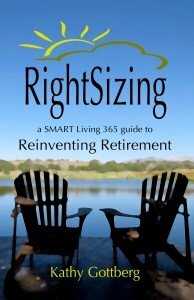 It is something we’ve wanted to do ever since writing about it here on the blog during the last four or five years, and then after publishing the book, Rightsizing—A SMART Living 365 guide to Reinventing Retirement last year. Because we are so passionate about the topic, it was great to gather with others who are either curious or equally excited about the benefits. And as we suspected, the topic is so rich that no matter where any of us are on the path, each of us can learn something from every other person’s example. 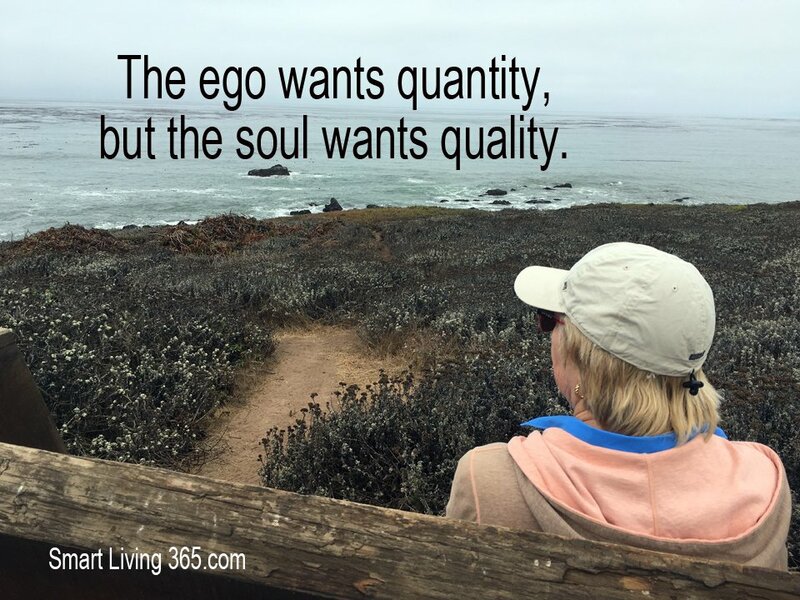 It boils down to the simple fact that quality always tops quantity. In case this is the first time you’ve heard about Rightsizing, let me provide a definition. One of the benefits of having two of us leading the discussion was how my husband Thom and I can offer connected, but different ways of explaining the experience. For me, Rightsizing is the opportunity to create a lifestyle that focuses on those things that are most important to me. 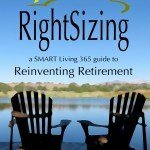 Contrary to the idea of downsizing with its implication of sacrifice, Rightsizing points me in the right direction toward everything I believe matters in life. By letting go those things in life that drag me down or hold me back, and instead focusing on those elements that bring me the most joy, contentment, and personal confidence, my life has been positively transformed. 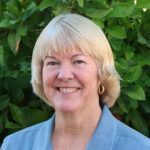 On the other hand, Thom tends to focus on the freedom, peace-of-mind and financial comfort of the lifestyle. While both of our definitions overlap, we demonstrated during our discussion that one of the values of Rightsizing is that it encourages individual choices and allows each of us to uniquely design a lifestyle that works for our individual personalities and circumstances. Of course, it was also revealed that it helps tremendously to be on the same side as others in our household. Knowing that there would be people attending with little or no background as well as those who have read the book and already started, I came up with five major categories of Rightsizing to discuss. Taking it even further, I included questions to start the conversation moving in a way that all of us might find helpful to explore. Your home and where you live. Have you ever taken the time to figure out how much of a home you really need? Is the trade-off of what you deem important worth the cost to you in terms of money, time and energy? Do you believe it is possible for you to own a home free and clear? Do you realize that it is sometimes better to rent than to buy? Are you currently working to eliminate any and all debt as quickly as you are able? Can you even understand how good that will make you feel? Do you live below your means? If you don’t have the money, don’t buy it! Do you sometimes “reward” yourself by shopping or spending money? Maybe it’s time to find other ways to celebrate and enjoy your life that don’t cost as much. Do you ever sacrifice your own financial wellbeing to bail someone else out (no matter how close they are to you)? Do you buy things you can’t really afford or don’t need, to impress other people? Do you ever spend money trying to “be someone else” rather than spending your money to be the best “you” that you can be? 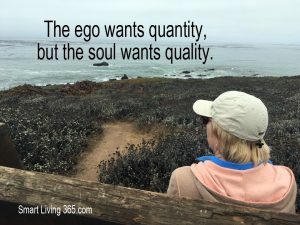 Do you find yourself getting sucked into the latest fad (whatever it might be) and spending a lot of money telling yourself you “need” it and it’s “good for you”, especially if it is related to something in the health, anti-aging or spiritual realm? Realize that is just another form of conspicuous consumption. Do you closely identify with the things you own? In other words, do you think you are your house, your car, your hairstyle? It is SMART to remember are true Self is much more than the stuff we own. Do you enjoy your work? Why not? Is there another way you can work? Are you so busy doing things for others that you neglect yourself? Why? Are your days filled with activities that you think you “should” or “have” to do? Do you go to work “just for the money?” Never trade your precious time just for money. Do you recognize that most of life is a trade-off when it comes to the things we can accomplish and create? So even if we can’t do or have everything we want, we can choose those things that are closest to our heart. Do you realize that everything you own, owns you to a certain extent? In other words, everything you own requires care and maintenance so unless you want that ongoing job, let your stuff go. Do you hang on to things for others (kids, siblings, friends) even though it is taking up space in your home? Do you keep clutter and stuff just in case you might need it 2 years from now? As you might have guessed we barely made it through the first category during our hour-long discussion. Everyone there had personal examples of what worked for them or what they struggled to figure out. Of course, it doesn’t really matter where you are on the path as long as you get started. Fortunately Rightsizing is a process where the biggest steps are recognizing the value and then just getting started. Hang out with people who value you as a friend for who you are—not what you own, where you live, or what job you have. Avoid people who spend most of their time trying to impress others rather than live a good and happy life. Never, ever spend money you don’t have. If you want something, make sure you figure out how to generate the money to buy it, or save for it. Learn to love and appreciate what you have right now. The more we appreciate the good in our lives, the less likely we will run around trying to buy things to make ourselves happy. Consider the idea that we need less than we usually think we do. Anyone who watches TV or reads magazines is continually told we need more to be, or look, good in the world. Is it possible that you are perfect just the way you are right now? Never forget the freedom and peace-of-mind that comes by living as debt-free (or with as little debt) as possible. Find your happy place. If you REALLY don’t like living where you live right now, then figure out a way to move. Forcing yourself to stay in a place that drives you crazy or makes you deeply unhappy is not rightsizing. Remember the saying “less is more” when it comes to doing things that truly make you more happy and content. Realize that your time and energy are always more valuable than money. They are also irreplaceable. Live fully for today! Rightsizing is not a destination you arrive at and then you’re done. Rightsizing is a continually unfolding journey. Enjoy the ride! Just as we hoped, Thom and I have found a new “tribe” of Rightsizers. By finding a local group of people who share many of the same values as we do, we hope to encourage and be encouraged in the days to come. I would never tell people they can’t have what they dream of or desire, but as we mature most of us discover that it is the feelings we seek rather than the stuff. 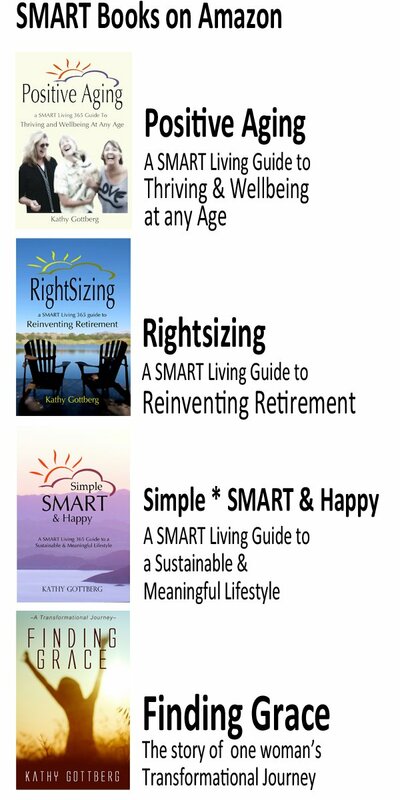 Gradually, I’ve come to realize that SMART Living and Rightsizing share a lot in common. The biggest difference is that SMART Living is the exploration of ideas we can use to create a life filled with happiness, meaning, and peace of mind. In contrast, Rightsizing is where the rubber hits the road. It takes both. Enjoyed all of your posts. I am so on board with rightsizing. I have been seriously decluttering and making sure what I have is all I need. The tough part is that we live in the house that my husband helped is parents build when he was a teenager. A 5 acre, 5 bedroom house, with continual maintenance needs. For the first time, my husband actually said we may have to downsize due to his health issues. I am relieved. My job will be to keep decluttering by getting personal belongings back to the family members it belongs to, and making sure it is ready to sell when he is ready to let it go. I use to feel attached to the furniture and stuff, but I dont anymore. I would be willing to sell it furnished, or unfinished, or partially furnished. 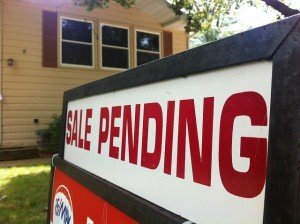 What is your experience with selling homes with furnishings. I am thinking a young family mught appreciate not having to pay for furnishings if they are upsizing. I wish I had the time to read this quietly and thoughtfully, because from skimming it, I see so much that appeals, but I don’t have time. Because I have too many interests. I want to do everything! I want to write. I want to work on the writers’ Guild. I want to start an indie book marketing group. I want to help elders publish their books. Holy moly. 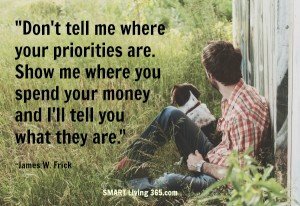 My husband, Bill, tells me that I have to think of my time as I would our bank account: you can’t buy everything you see. You have to budget. But I remember when I was in my late teens, early 20s, envying people who had hobbies and interests. I didn’t know what mine were, and was frequently bored (although I did work fulltime as a filing clerk – mind-numbing). As an older person, I celebrate having a curious mind, but it brings its own challenges! Thanks for taking the time to parse this out, Kathy. I will print it out and read it after the grandkids hit the sack tonight. Hi Kathy, All good advice.. I “get” (and agree with) all your rightsizing principles and most of the practical tips. Question: Could you address more directly the issue of rightsizing your experiences, rather than your stuff. It seems like a slightly different issue that I know you’ve touched on, but how am I rightsizing my travel plans, or the help I may want to give my kids, or just the simple question of whether we want to drop a hundred dollars by going out to dinner tonite? Thanks! Thank you for clarifying the difference between rightsizing and downsizing. It’s so simple, but had me so confused! Your questions about how to analyze the realities of our home and finance situations got me thinking, and led me and my husband to a discussion about our own decisions. We decided, ultimately, that we made the right decision (buying a small condo) several years ago. It was helpful to go through the exercise, and confirm our feelings about it. I loved your final ten tips, particularly the last one. Wise words! I’m sure your audience just loved what you and Thom had to share! Such wise words, that many don’t think of! Hope you can lead more! wish I could have been at your presentation. I know it had to be terrific for you and Them have such wonderful ideas! Thank you for sharing this practical information and very useful tips. Although I was not previously familiar with ‘rightsizing’, your words are very clear and the concept makes complete sense to me. Congratulations on your successful lecture. 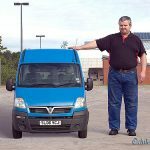 Right sizing is definitely a mindset and a way of life. You are either all in our you’re not. There’s no half and half. This is great Kathy! No wonder your discussion was successful. I think there is a need for just what you highlighted here at continuing ed classes, senior centers, community workshops, etc. !